John Cleary (bookseller): My favorite section is Fiction—the stories there are what got me hooked on books. Katie Eelman (media and events coordinator): It’s hard to pick a favorite section, but I do love the New Arrival shelves. Seeing brand new, face-out books never fails to make me giddy with excitement. Kate: I hesitate to say more books—because I’m awfully overwhelmed with the knowledge that I’ll never be able to read all the books currently in my store and I’m aware that there are many things that I haven’t discovered. So if you really mean infinite I would want to add an outdoor garden with lots of reading nooks, a rooftop bar with a space observatory, tumbleweeds, a small stage with blue velvet curtains for live events, a recording studio to produce and podcast our events, oh and some more practical things that I don’t currently have would be nice, like office space, a receiving area, and a dog. Katie: We’re smaller than any other bookstore, and with only three people on the team, I think our community feels that they can get to know the shop and the people behind it. Our hope is that our neighbors learn about us, see how our tastes may align, and let us help them find new books. Because we have only 500 square feet, we simply can’t afford to stock books that we don’t like or feel excited about. I don’t know of any other bookstores that can say that. Kate: I’ve been lucky so far, nothing awful has happened—one little girl did get a paper cut from a book, she started crying loudly and her mom was trying to quiet her down as I rummaged around for Band-Aids. Then her father came into the store and started laughing that she had got a paper cut at Papercuts. I found a Band-Aid eventually, but she was disappointed it wasn’t a Hello Kitty one and cried a bit more. I’ve since gotten cooler Band-Aids. Katie: I grew up in Doylestown, PA, an idyllic town outside of Philadelphia. Once, when I was very young, my mom took me a nearby book store for kids. When I was scolded by the bookseller for touching the books, my mom vowed never to go back, and from that point on we shopped at Doylestown Bookshop almost exclusively. She would let me spend as much time as I wanted in there, touching and smelling and stacking and restacking all of the books that caught my eye. Kate: I really like what I’m doing, but the nature of my work is that I’m interested in so many things! I’d like to study cosmology and give whale-watching tours, but I’d never want to give up slinging books. If I could combine them all somehow—that’d be ideal. Kate: How patient, kind, compassionate, generous, supportive, and encouraging everyone has been with me during my first year. People get a bad rap—but readers? They’re the best kind of people, and I’m so happy to have met so many this past year. Katie: The wonderful and dynamic people we’ve met! 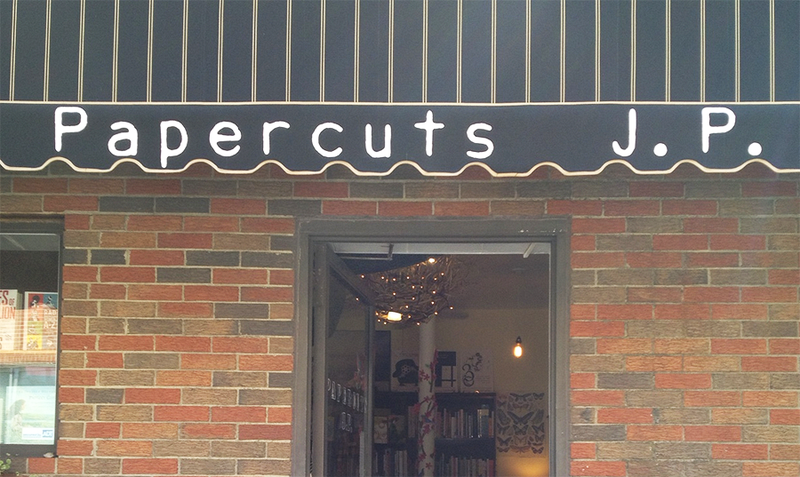 They’ve been supportive from day one and have made so many dreams a reality, including the inaugural Papercuts J.P. anthology: What Happened Here, which we’re publishing through a crowdsourcing campaign. JOHN (BOOKSELLER) RECOMMENDS: For nearly forty years, Project Censored has been compiling the most important under-reported stories of the year, stories that have been buried because they reveal ugly truths about the systemic injustice, environmental catastrophes, corporate malfeasance, and routine violation of civil rights by our own government. This year’s volume includes stories about the real depth of worldwide wealth inequality, government cell phone tapping and restrictions on freedom of expression, resistance movements in the middle east, privatization of water, the rising number of environmental activists being murdered, and many other stories that may challenge the narrative formed by corporate media. 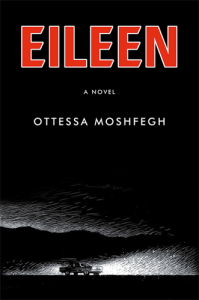 JOHN (BOOKSELLER) RECOMMENDS: Set in a juvenile detention center outside of Boston, Eileen is a novel of obsession, madness, and violence narrated by Eileen five decades after the events of the story take place. Moshfegh writes with the poetic elegance of Lydia Davis and the gripping, emotionless turpitude of Cormac McCarthy, but is still uniquely Moshfeghian(her voice definitely deserves an eponym). This book is exhilarating and darkly witty, and I wanted to sink into each sentence but also felt propelled onward. 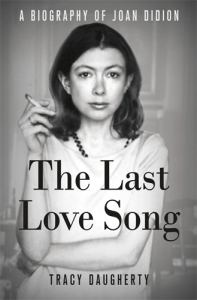 KATIE (MEDIA + EVENTS COORDINATOR) RECOMMENDS: This biography of the iconic Joan Didion is a superbly written work of research. 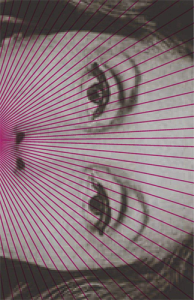 Of course you know Joan from her provocative essays on culture, her careful novels, and her pieces that, as Daugherty says, “teach us how to live.” Now, through this magnetic story of her life, know her fascinating western background and her reflections on writing her work. This stunning book is, I promise you, not your dry and merely factual biography. Daugherty traces Didion’s intellectual and creative growth, which is an opportunity that those who love to read and write would be remiss to forego. KATIE (MEDIA + EVENTS COORDINATOR) RECOMMENDS: Compared to the work of the breakbeat poets, the poetry you’re reading is outdated. 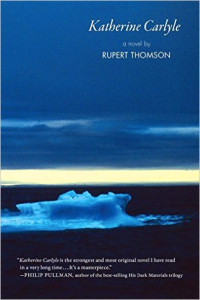 The poetry in this book is not “modern” in the sense of being more highly evolved, but rather a true and accurate reflection of a large part of our world that’s often neglected in publishing, especially in poetry. These pieces, with sound and rhythm that will move you (at least have your foot tapping), are not hindered by the expectations of structure or form. The poems in this collection are some of the most honest works of writing I’ve read this year—they read like a beat in the chest of the poet—raw, spontaneous, and simply written because it needed to be. 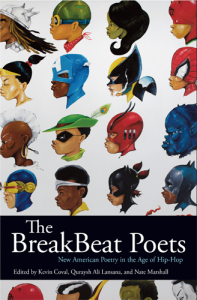 The world needs more books like BREAKBEAT POETS. KATIE (MEDIA + EVENTS COORDINATOR) RECOMMENDS: Chris Irvin’s first collection of short stories is an impressive body of work. 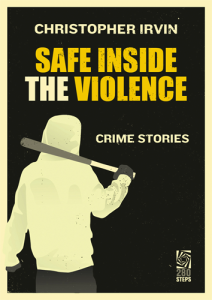 In each story, Irvin masterfully brings to the center of the narrative those who could otherwise be left out, allowing the reader to experience crime noir fiction from the perspective of the most anxious, and from those characters who feel the most genuine. If violence is a storm, this collection focuses on the eye of it–yes, the reader is safe inside of it, but only for another moment. KATE (OWNER) RECOMMENDS: Reading this I wrote down these two sentences. The first sums up the plot. The second, my feelings while reading it. “A story with two beginnings and no ending.” “My heart dilates with a pleasure that is pure and undiluted.” Don’t miss this book—if you don’t trust me, it’s got blurbs from James Salter, Phillip Pullman, and Margaret Mead. 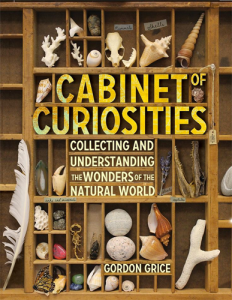 KATE (OWNER) RECOMMENDS: Much more than a glorified field guide, this brilliant book shows us how to engage with the natural world around us and with the objects that so often find their way into pockets. It’s beautifully designed and the perfect instruction manual for the naturally curious. 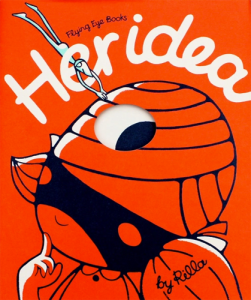 KATE (OWNER) RECOMMENDS: This gorgeous book out from one of my favorite publishers, Flying Eye Books, is a treasure. It beautifully illustrates the complex set of emotions that a young girl faces when she’s inspired by her ideas, gets overwhelmed with the possibilities and doesn’t know where to start, then eventually finds her way by reading a book! It’s a joyful celebration of the power of books and the ideas they contain and the color palate makes this book feel timeless.